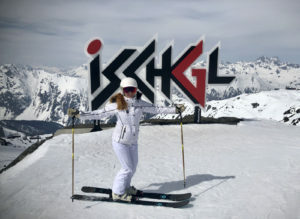 Ischgl is where the cool skiers go on Austrian ski holiday. Picture this huge ski resort with modern lifts, amazing views, skiing on steep high-elevation terrain – all the way into Switzerland’s Samnaun ski area on a shared ski pass. Ischgl has a vibrant ski village at the base of its big mountains, with reputed aprés ski, luxury lodging, and lots to do in the evenings in this authentic town with a cosmopolitan flair. 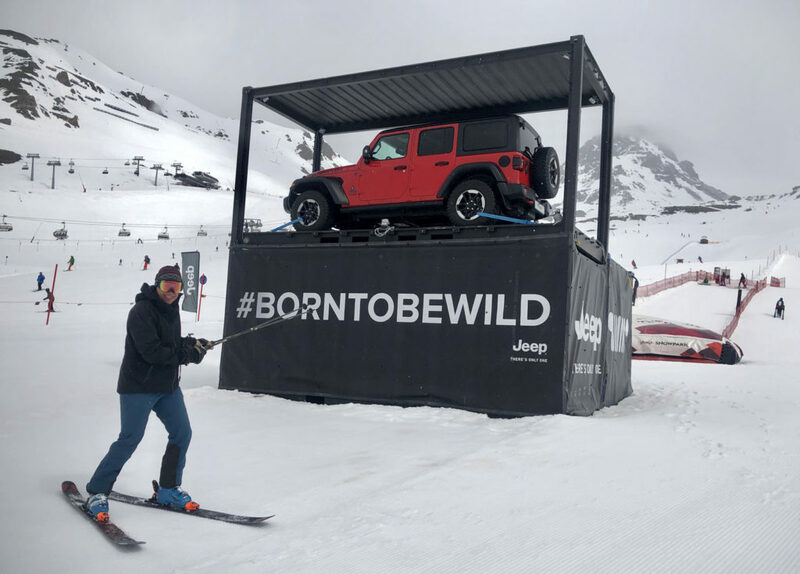 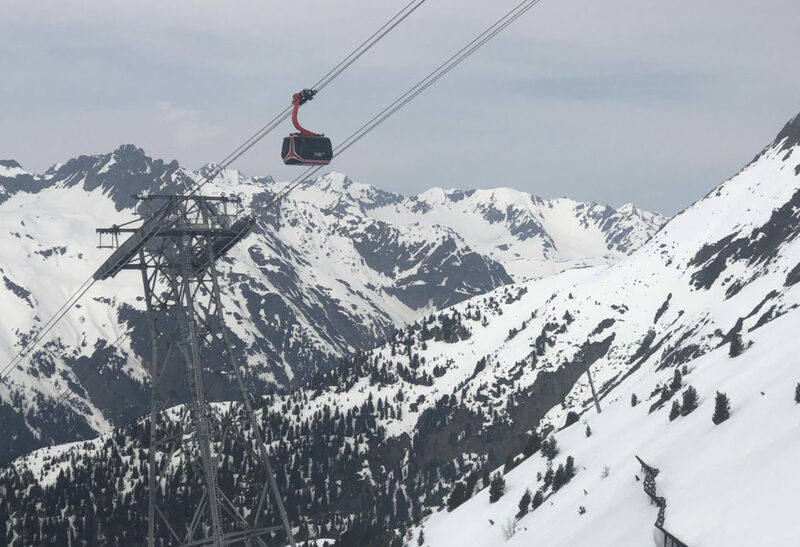 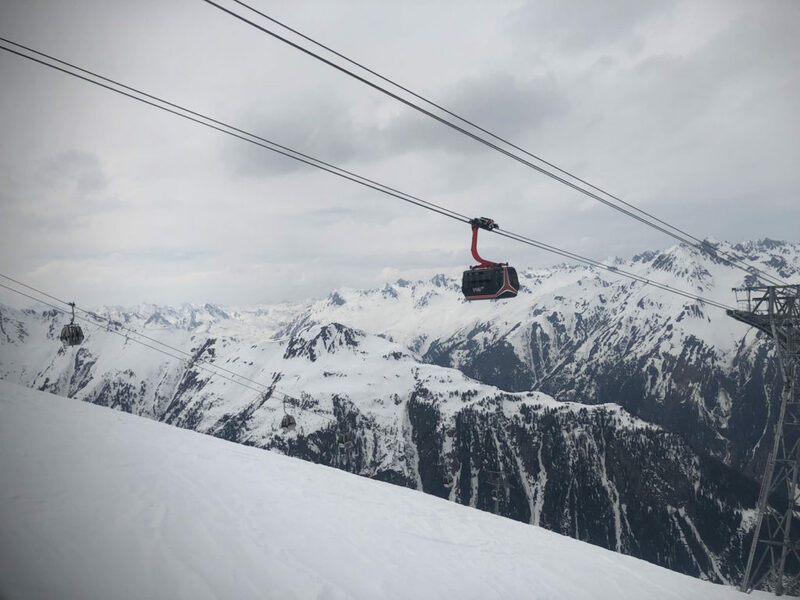 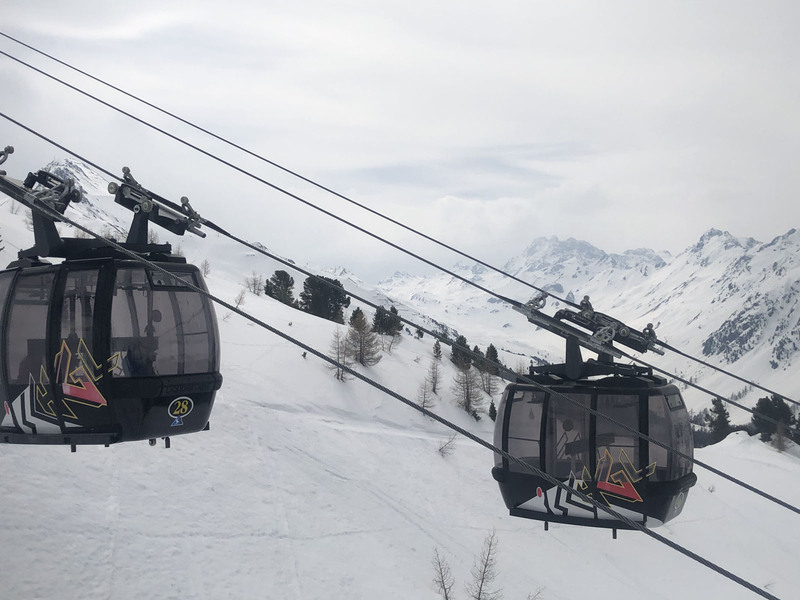 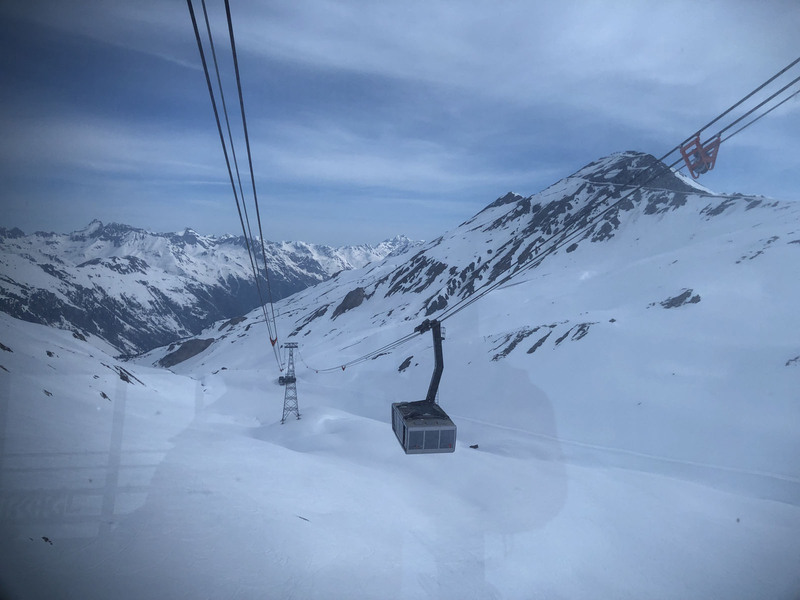 Ischgl’s skiing… From the Paznaun valley and Ischgl’s alpine village, modern gondolas climb the canyon up to Idalp’s high plateau where swift six and eight-passenger heated bubble-covered chairs ascend in several aspects. 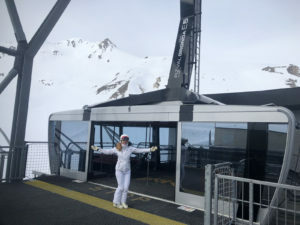 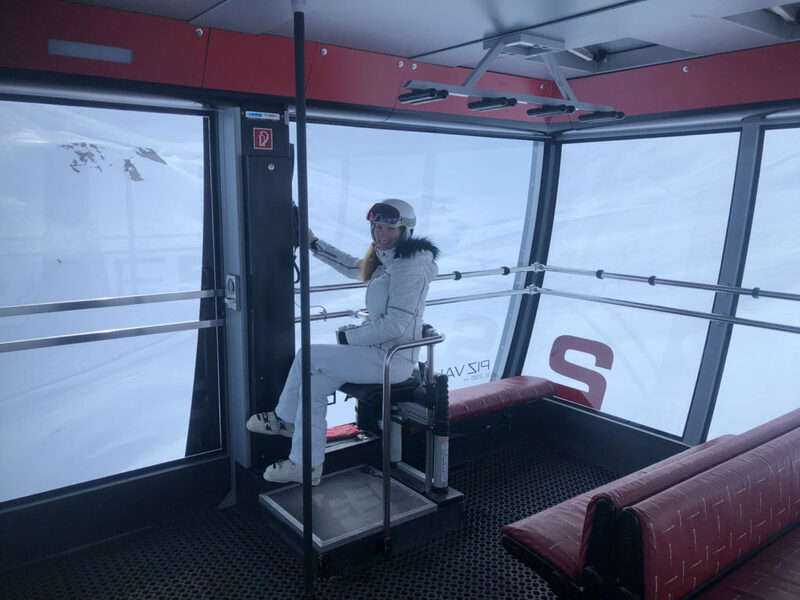 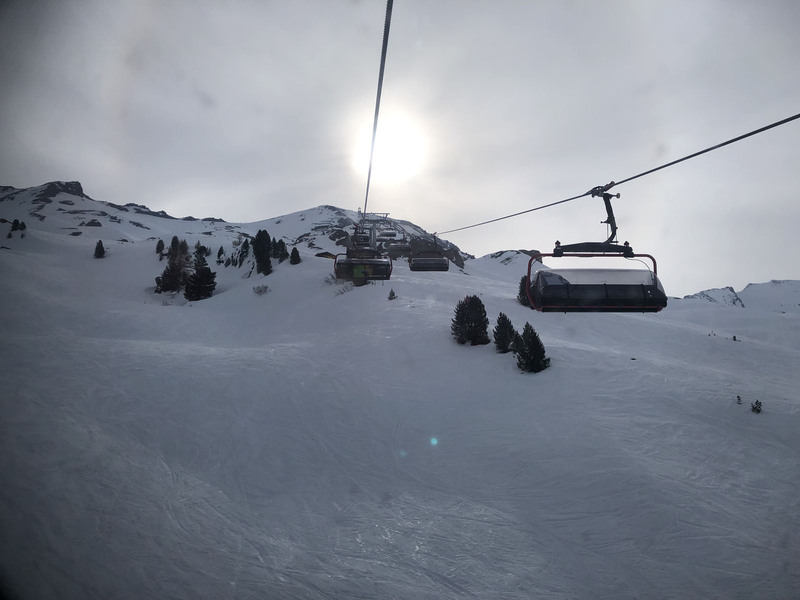 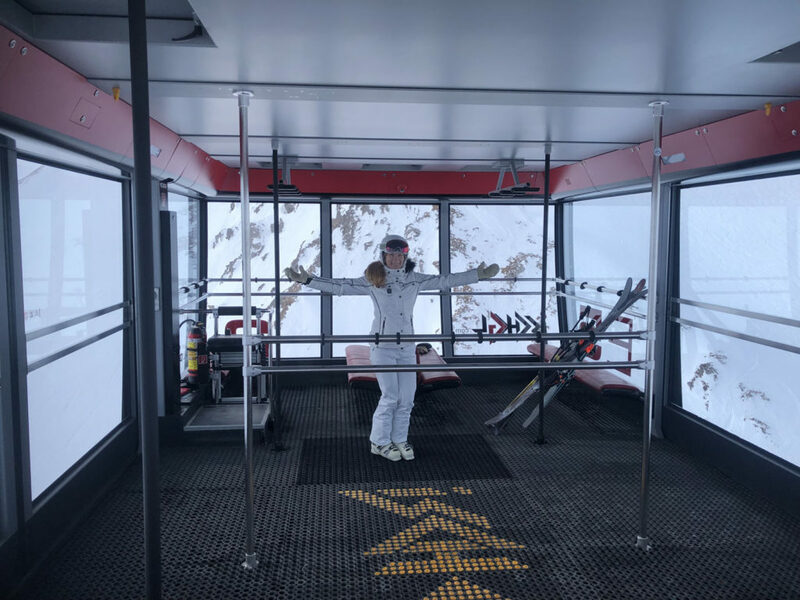 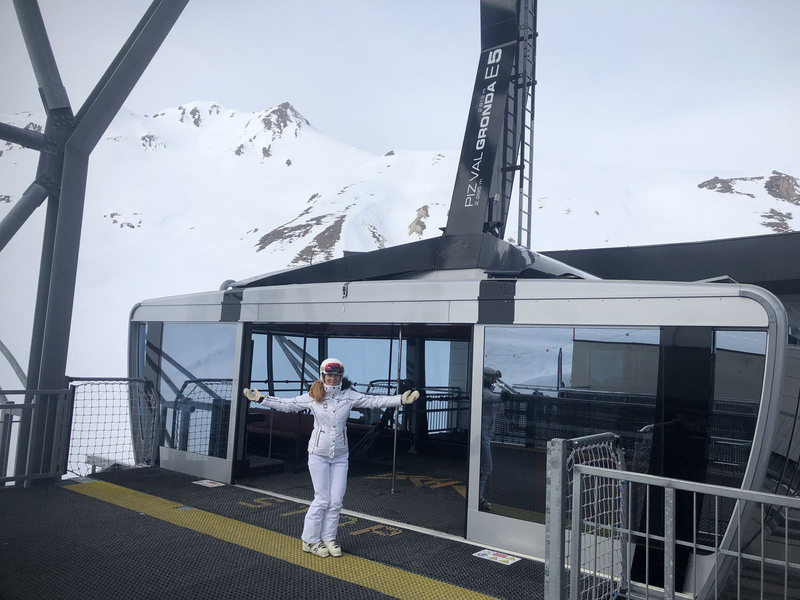 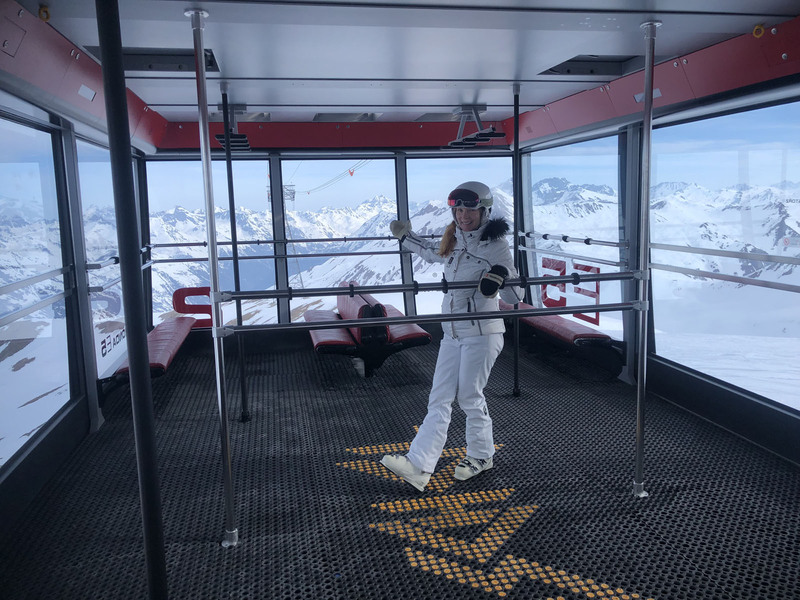 In two lifts you can be skiing “cross country” into Switzerland’s Samnaun on sunny wide ski trails, or head up to Greitspitz at 2,872 meters – Ischgl’s highest peak, and the towering Piz Val Gronda at 2,812 meters – reached by an amazing glass 150 person tram. 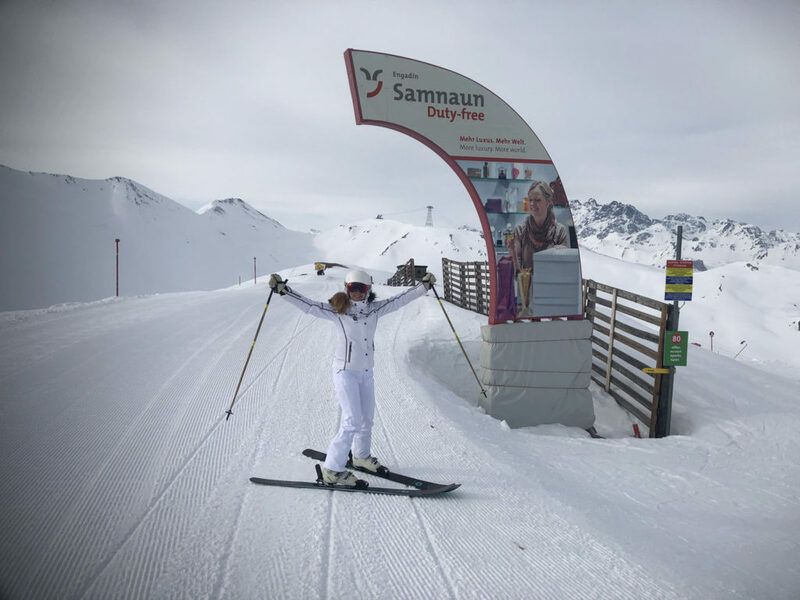 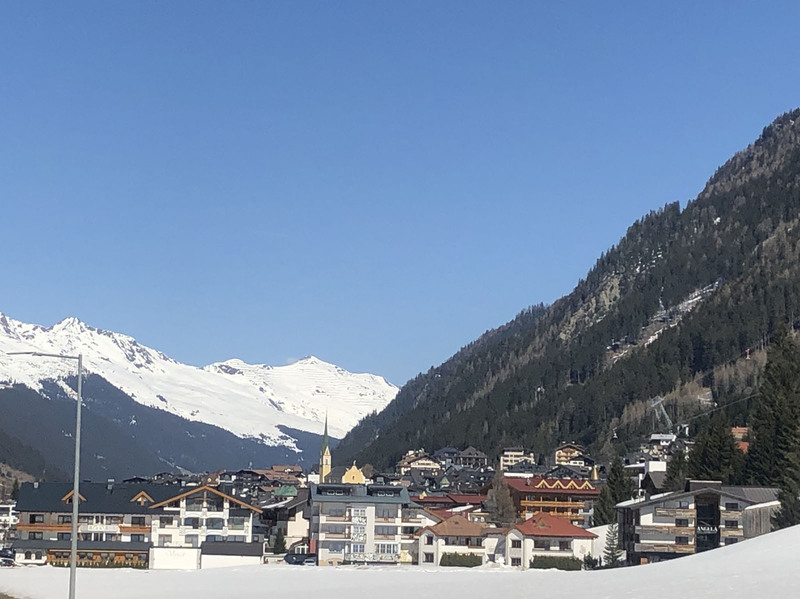 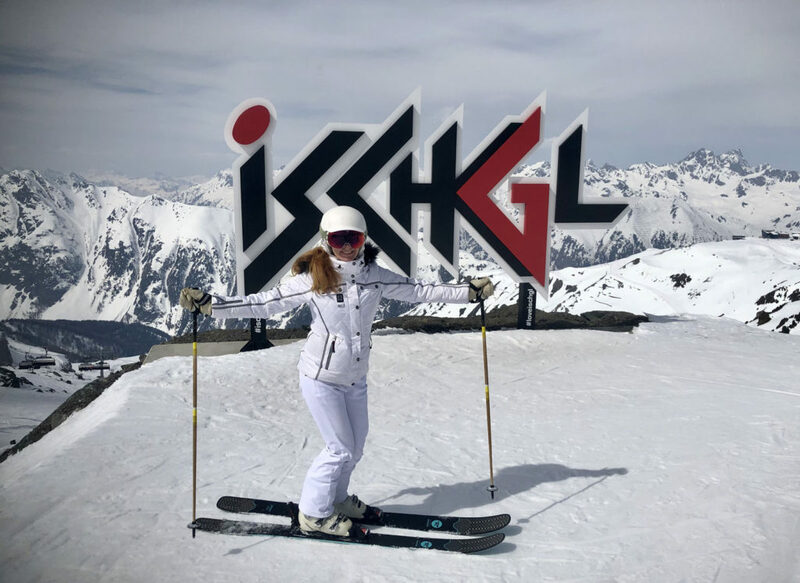 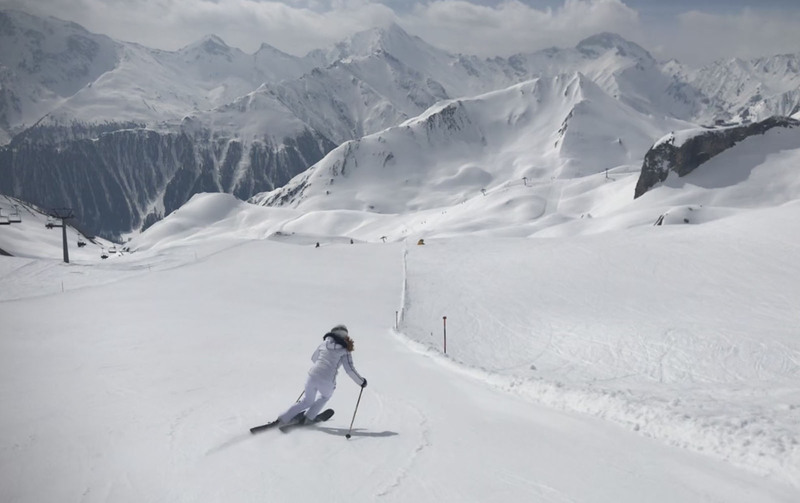 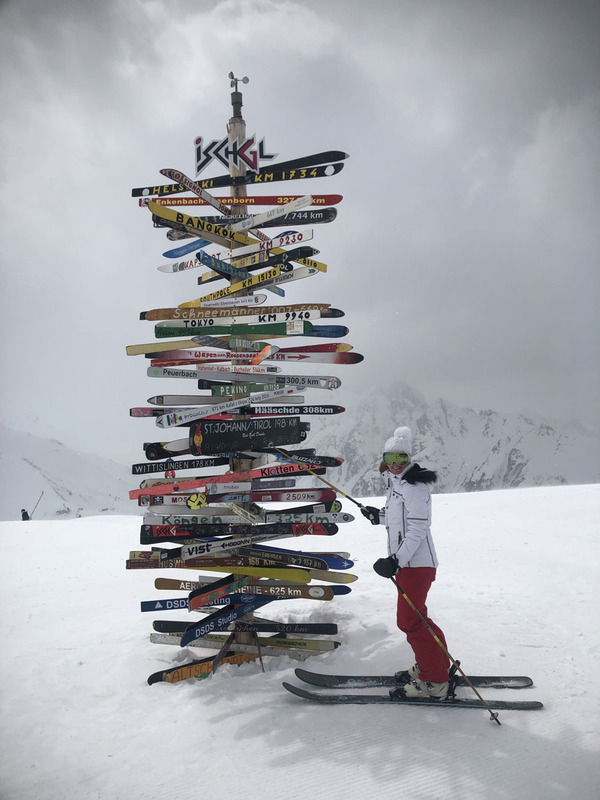 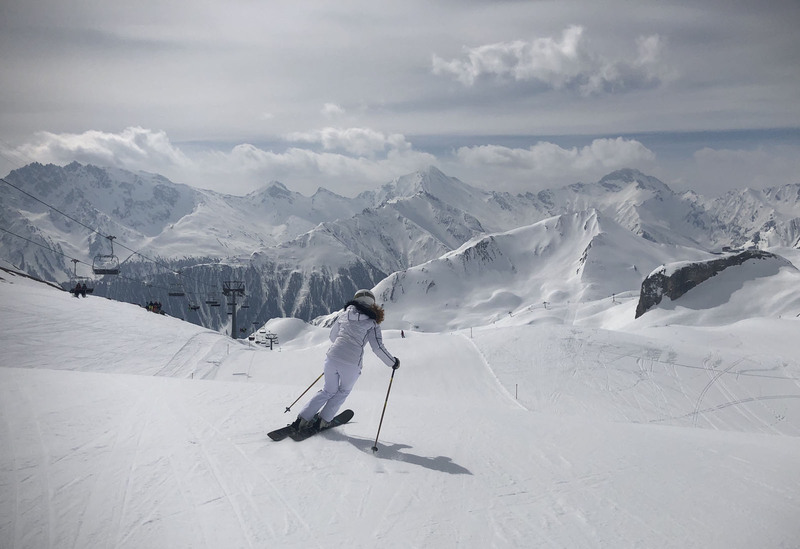 Ischgl ski tour… the Smugglers Ski Circuit, is a fun circuit to explore – skiing from Austria to Switzerland and back, 37 kilometers of pistes, 14 ski lifts, and a total of 59 kilometers of skiing if you go for the Gold! 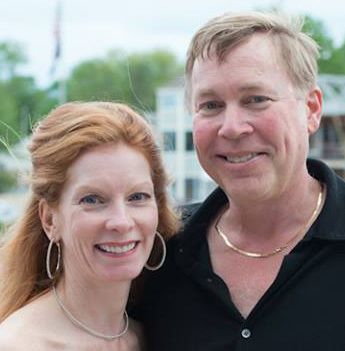 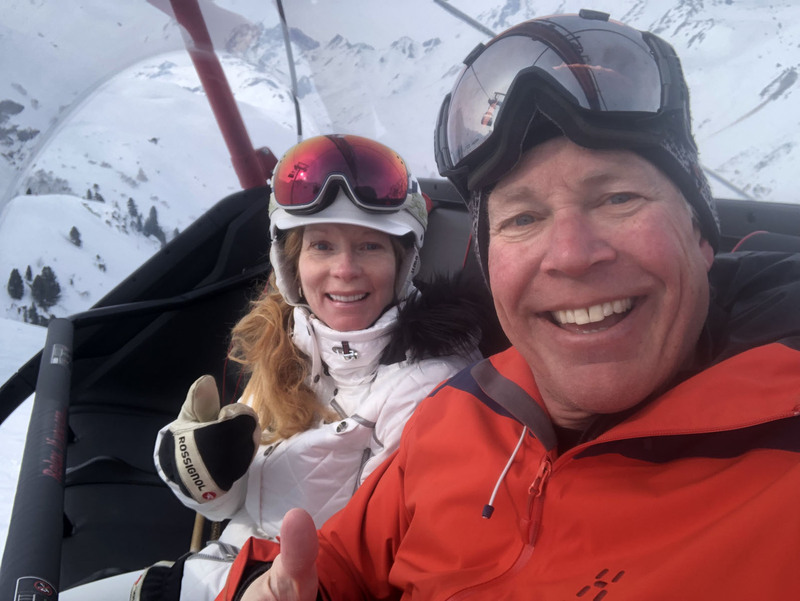 We did – easily with extra laps. 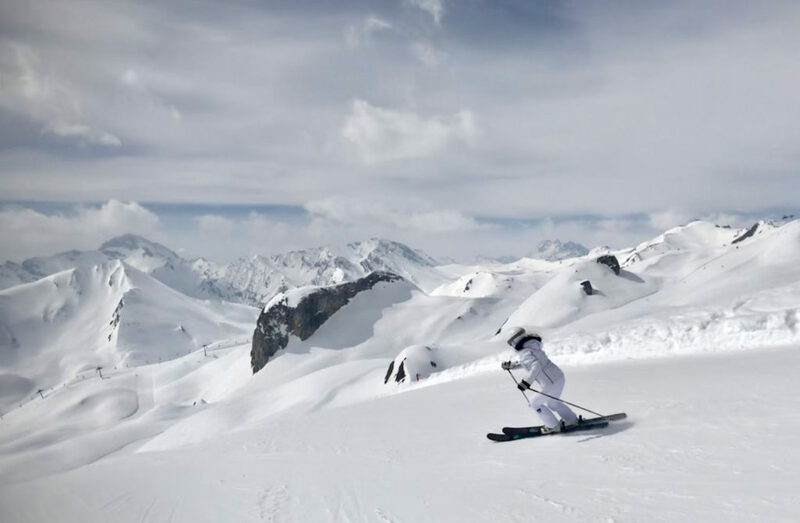 Its one of the longest ski circuits in the world – like Italy’s Sella Ronda in the Dolomites. 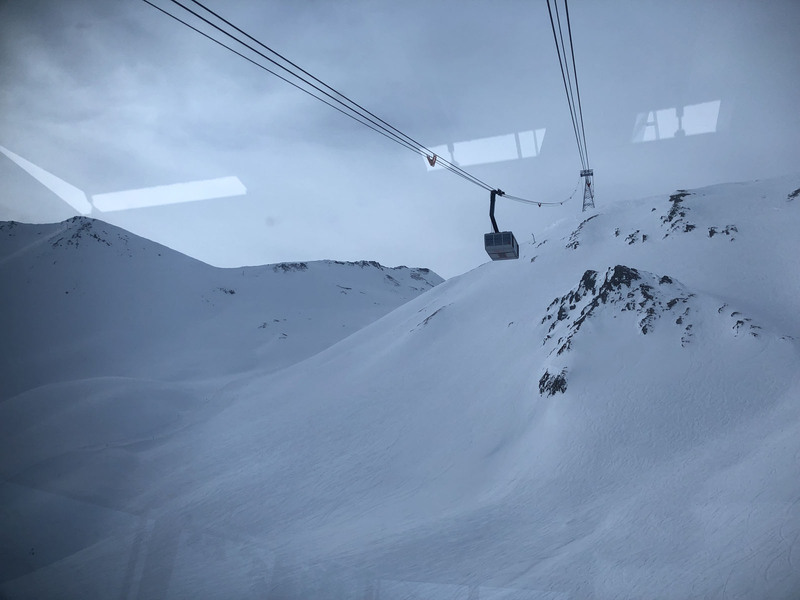 There’s also Silver and Bronze level with less lifts and trails, download an app to track your route. 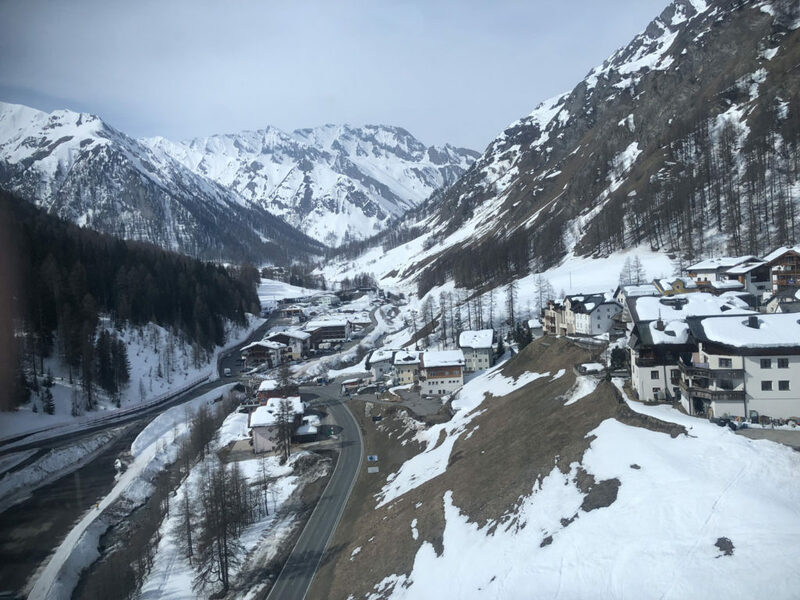 Austrians historically smuggled cheese, butter and fur into Samnaun Switzerland, in trade for imported coffee and spices, and tobacco. 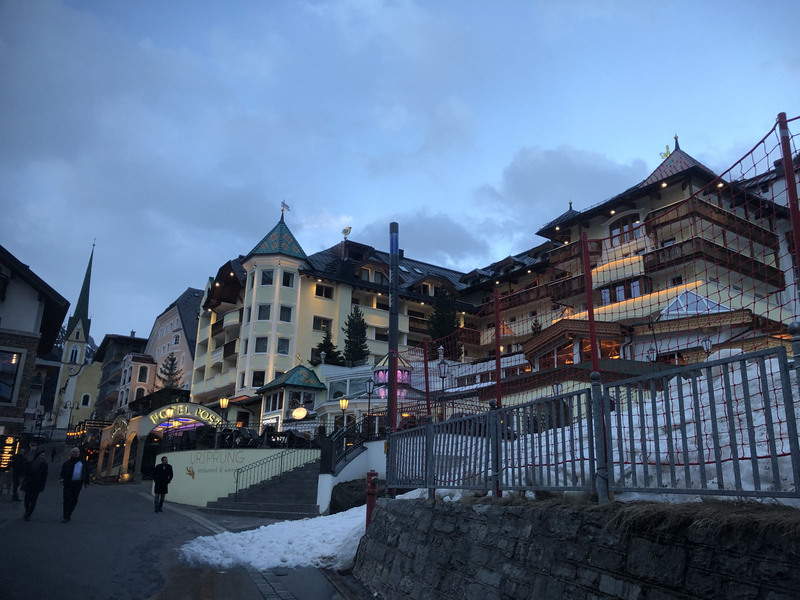 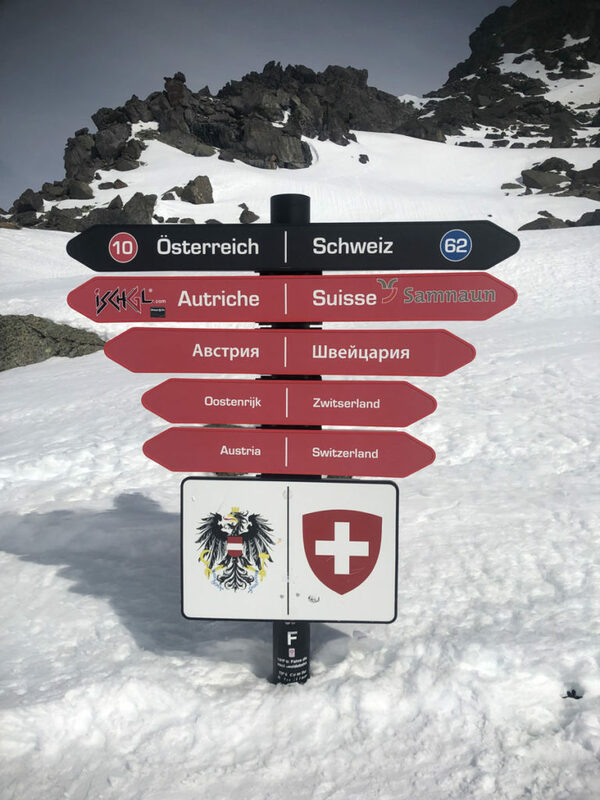 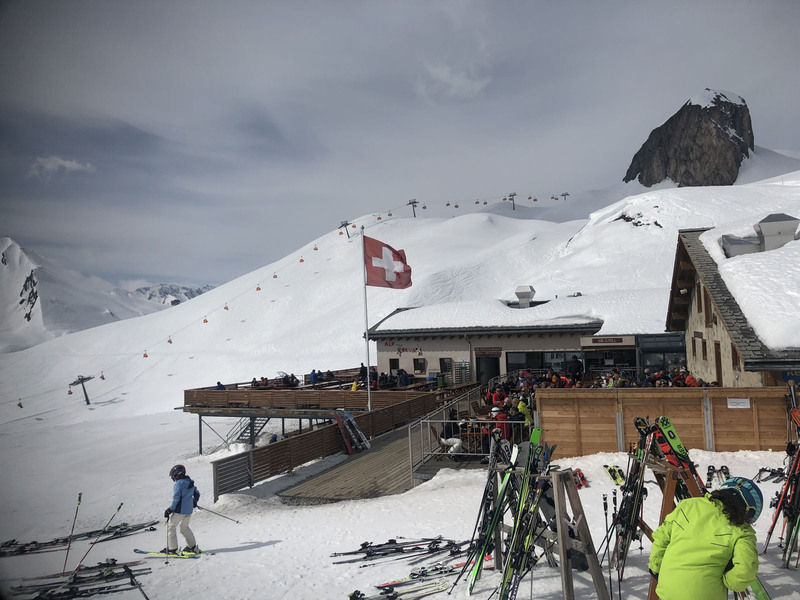 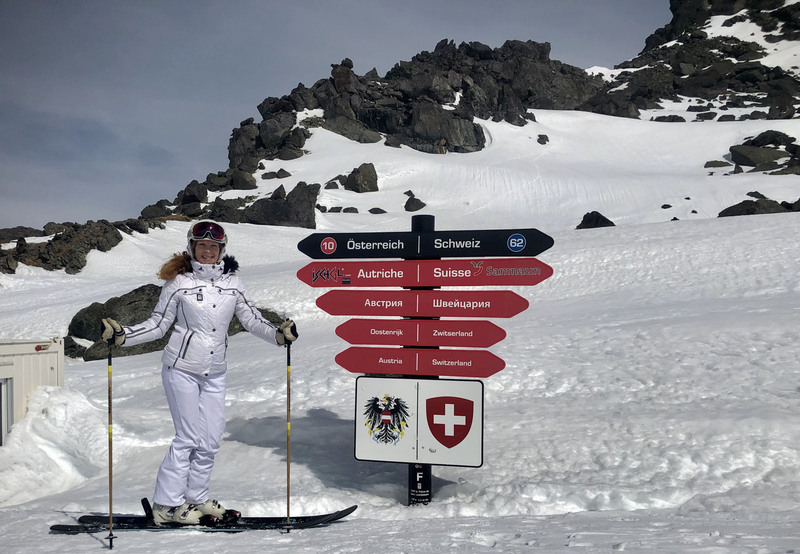 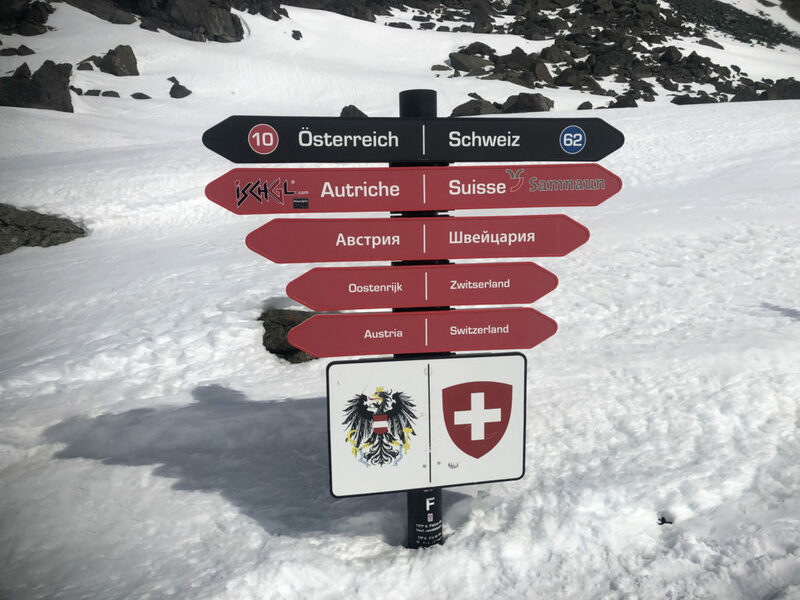 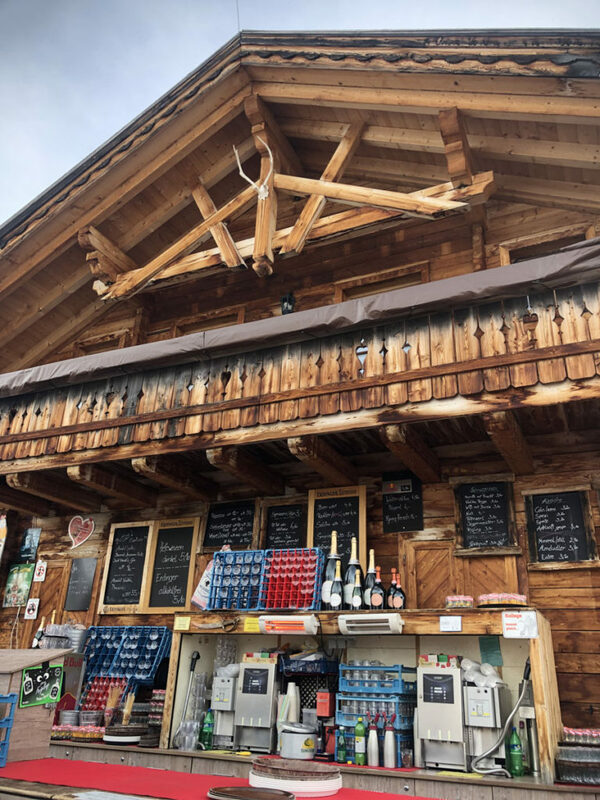 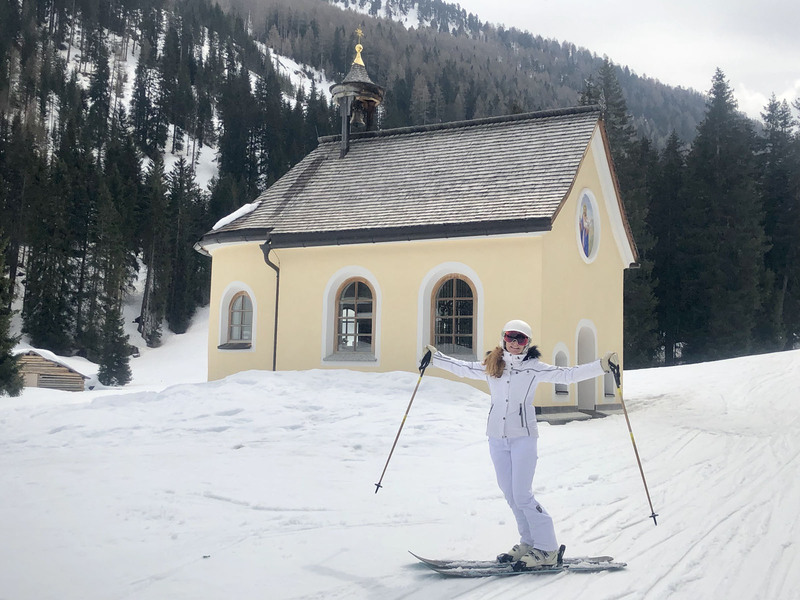 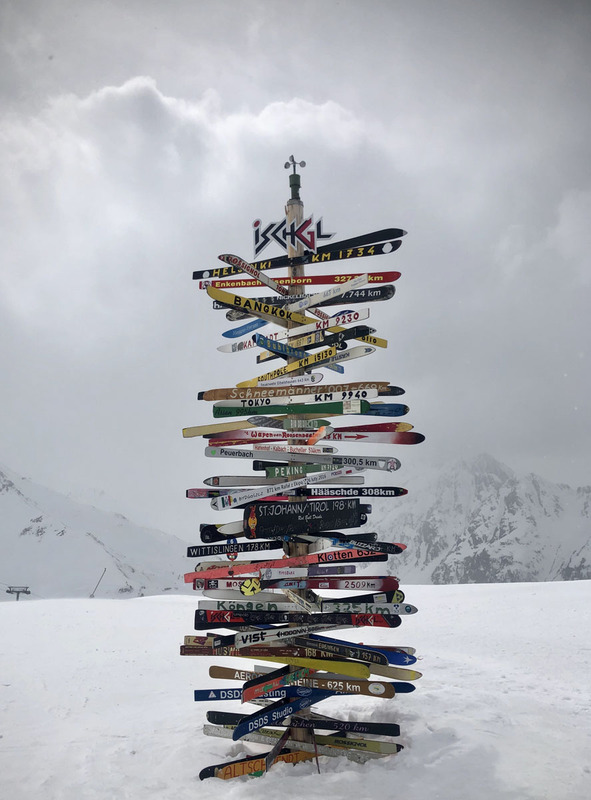 As you ski along the legendary smuggler tracks, and you ski into Samnaun Switzerland – its amusing to see signs for 40 Swiss duty free shops selling jewels, perfume and tobacco, just off the ski slopes. 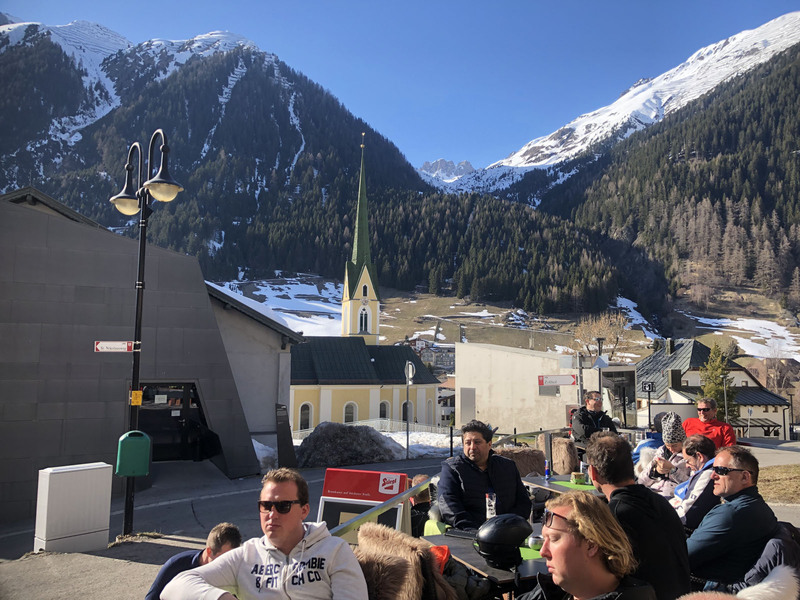 Ischgl is a party place, with big aprés ski on the slopes at Paznauer Thaya, and continuing into the evening in Ischgl village, steps from the Silvretta tram. 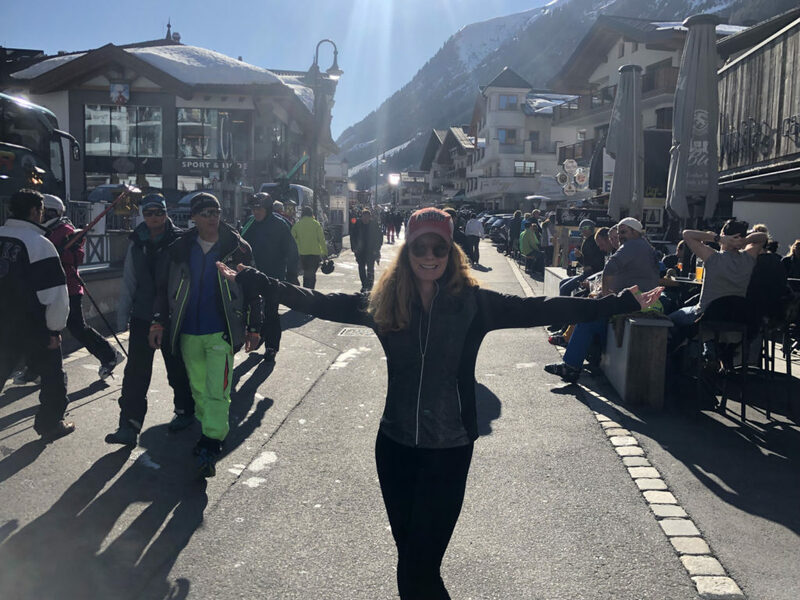 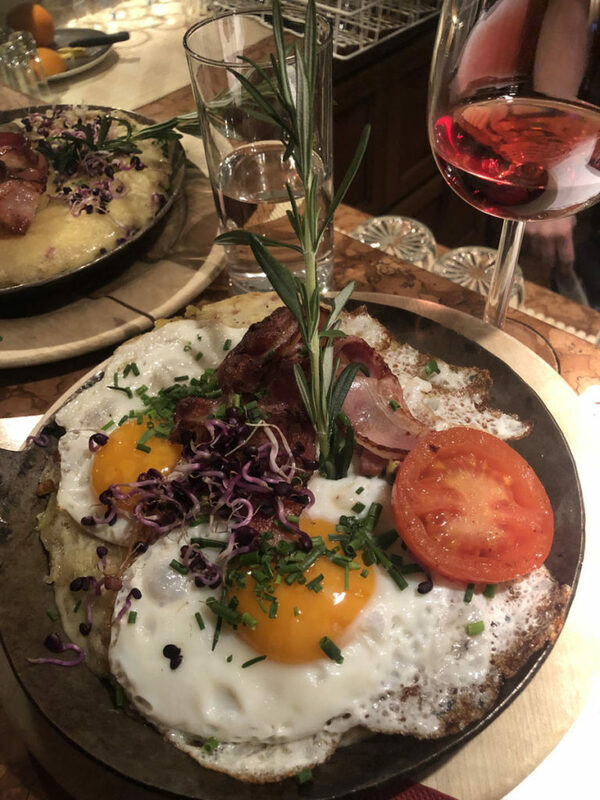 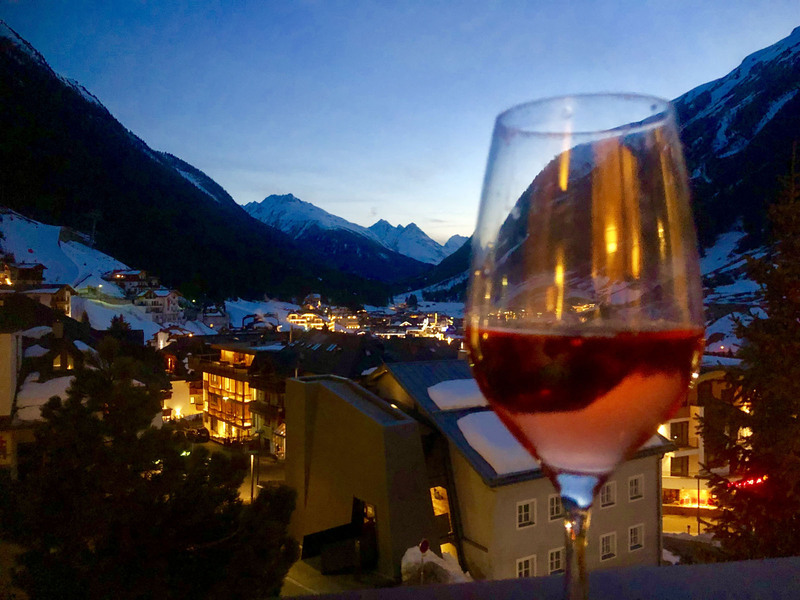 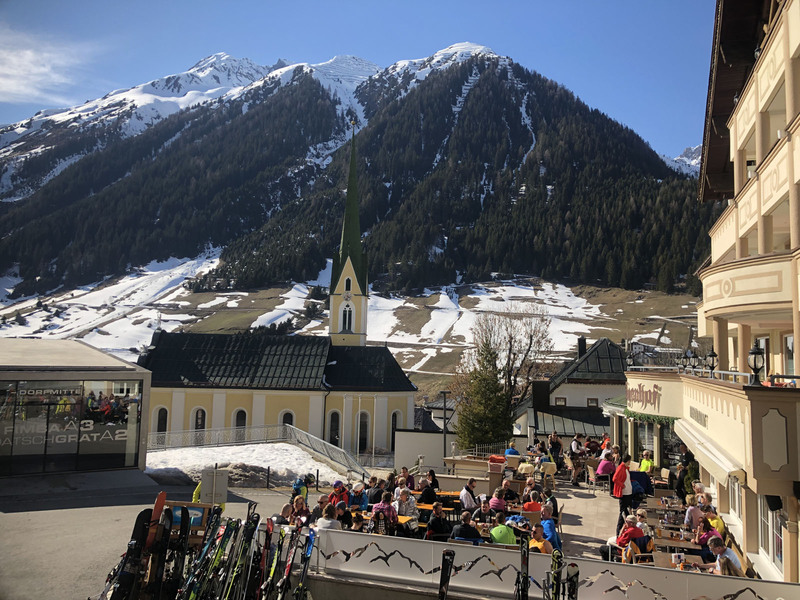 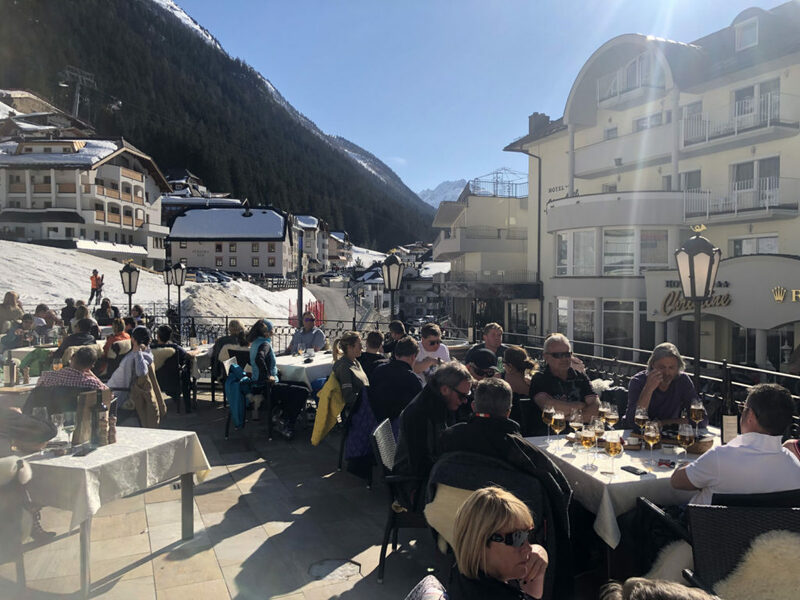 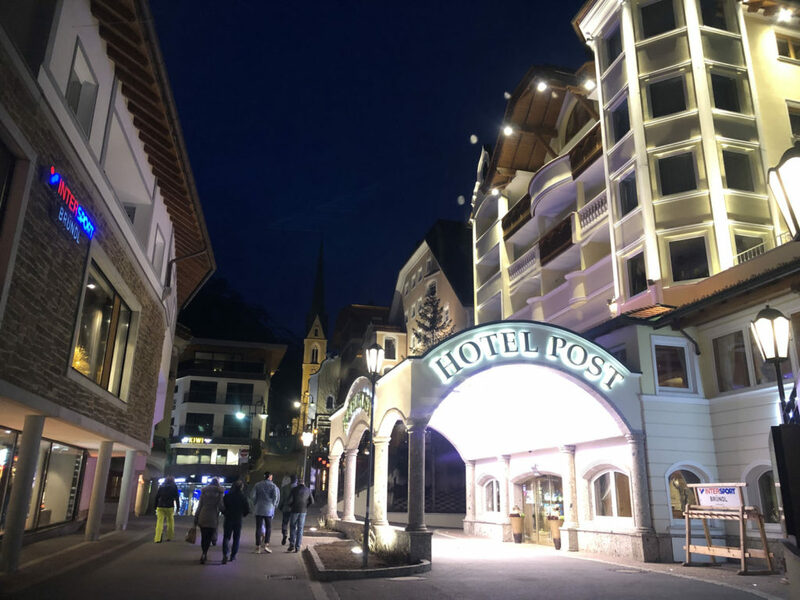 The Kuhstall ( the cowstall), and Hexen (the witch ba r) next door, or swankier Fire & Ice are part of aprés ski row, Ischgl’s lively bars, cafes and lunges spill out onto the stone streets afternoons into evening. 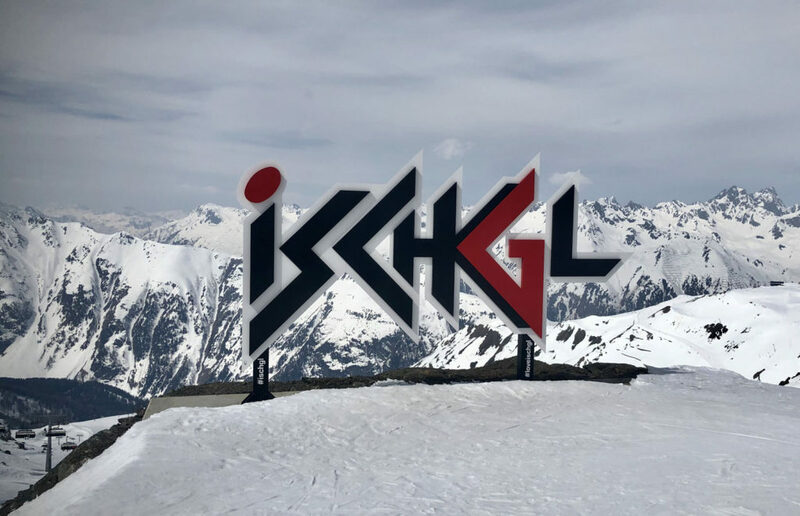 Ischgl is for music lovers with an amazing on-mountain outdoor stage. 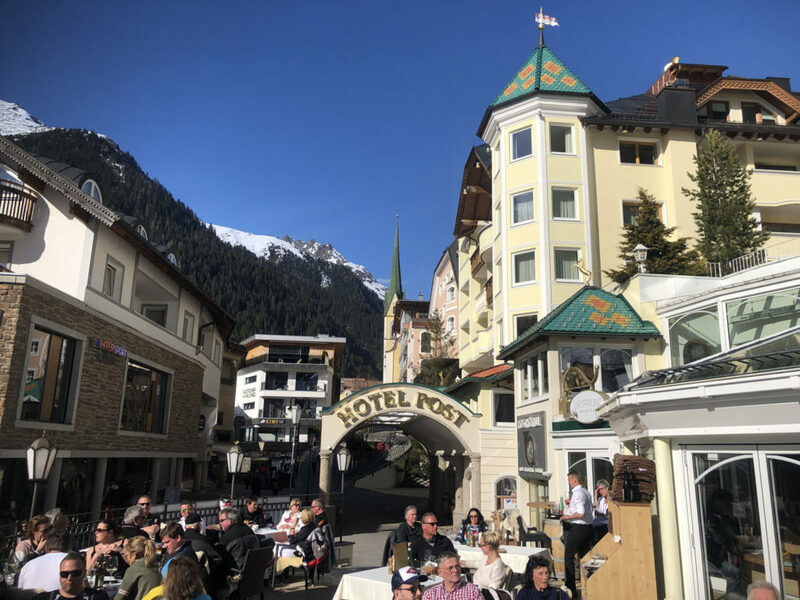 Ischgl’s End of the Season Top of The Mountain concerts are legendary with rock star performer Lenny Krazitv, Rihanna, Elton John. 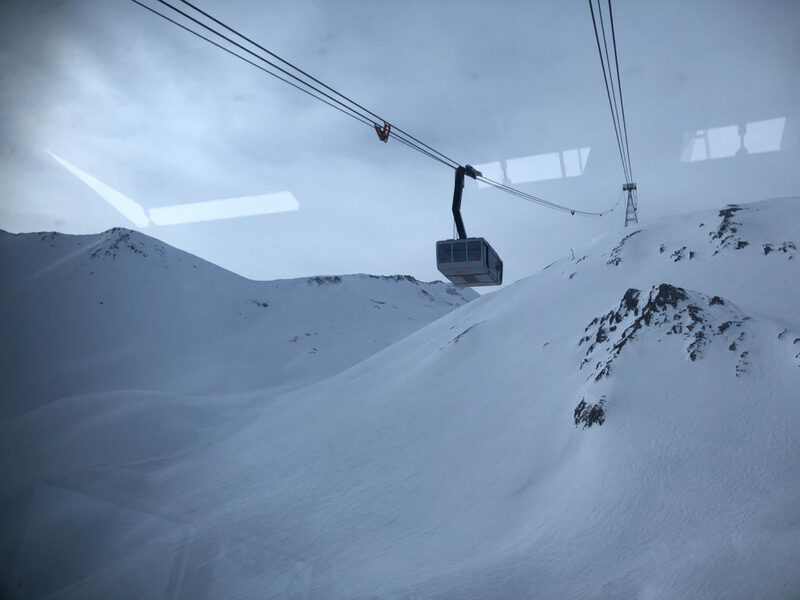 Ischgl clearly gets busy, hence the incredible high-speed high-capacity lift system. 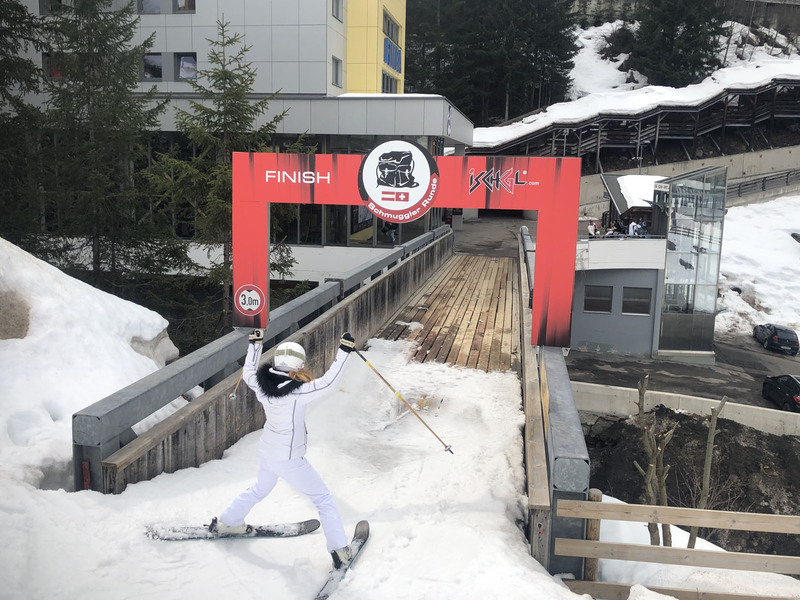 The Run to the Valley Trail #1 at ski day’s end can resemble human slalom, downloading on a gondola is always an option. 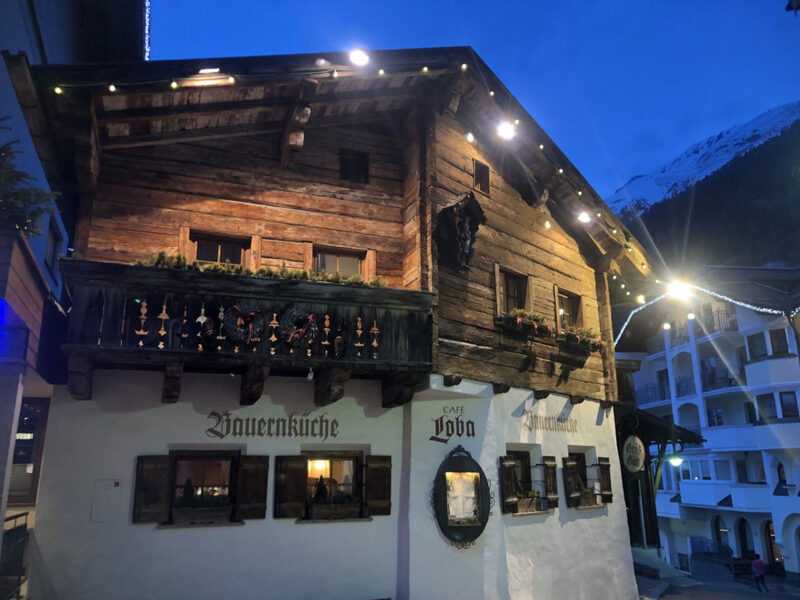 Ischgl is luxury ski hotels with upscale five and four star hotels in the village, Hotel Post, Fliana, Silvretta and Schlosshotel Ischgl. 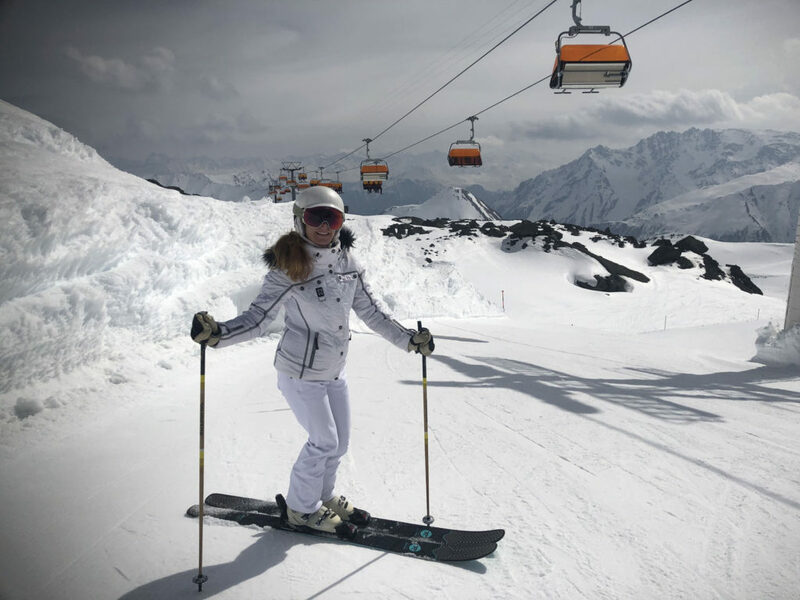 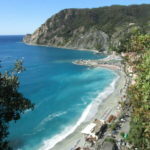 This posh lodges offer fancy spas, trendy lounges, gourmet restaurants and chic shops. 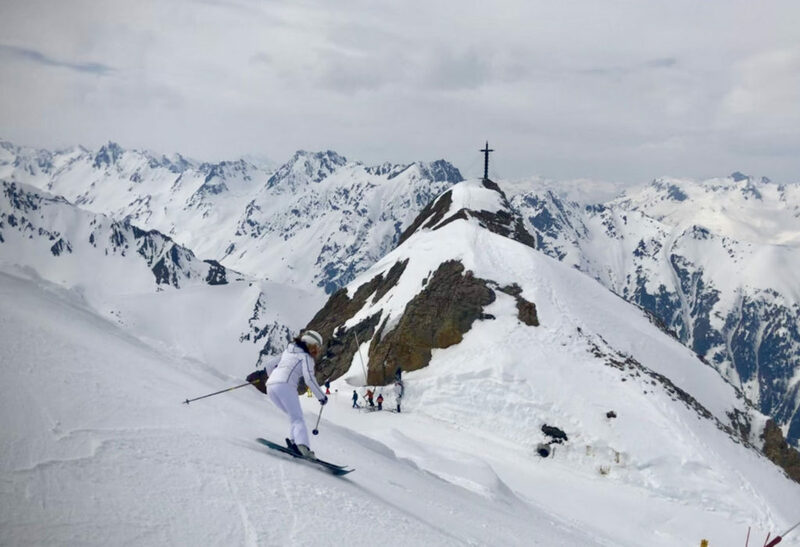 Some come to Ischgl just to see and be seen, not to ski. 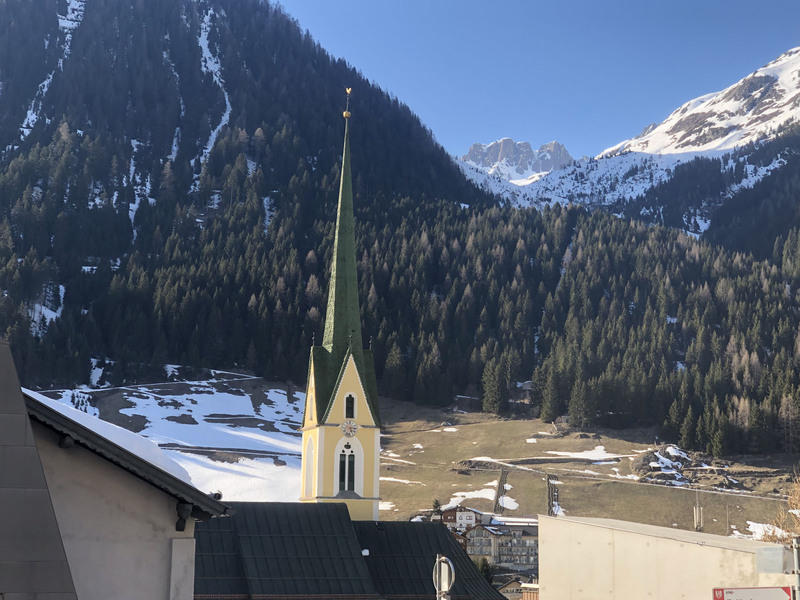 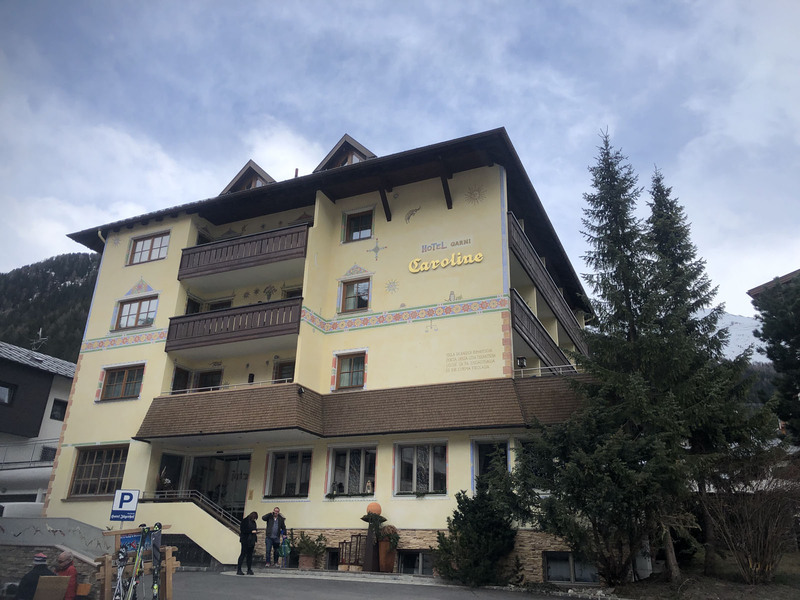 Hotel Caroline we found to be ideally located, moderately priced, with balconies overlooking town, close to the elevator to the ski lift, serving a wonderful breakfast, just steps to the heart of Ischgl’s village. 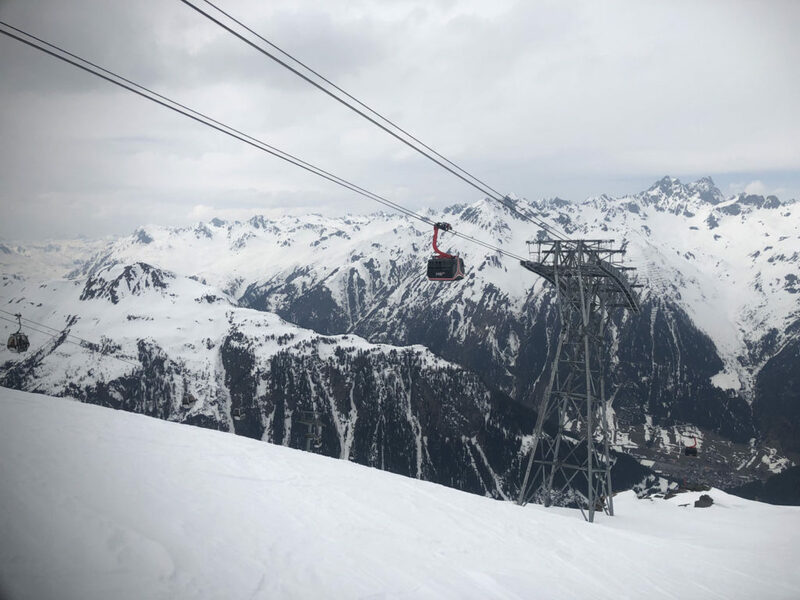 Non skiers can ride Ischgl’s cable cars up to alpine epicenter for on snow activities like zip lining, sledding, and winter wandering. 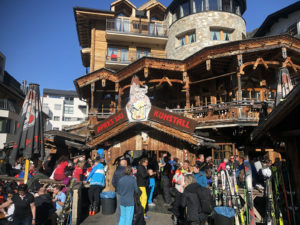 Of course Ischgl village retail therapy for shoppers too. 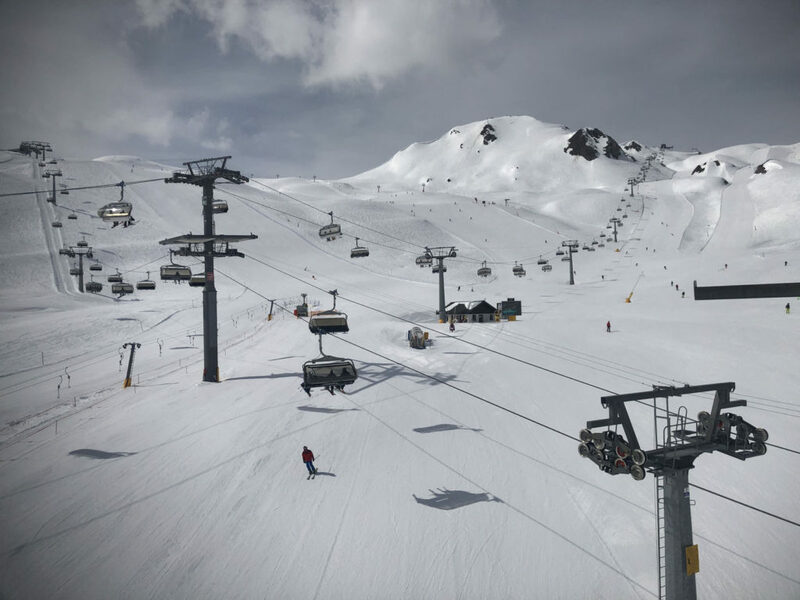 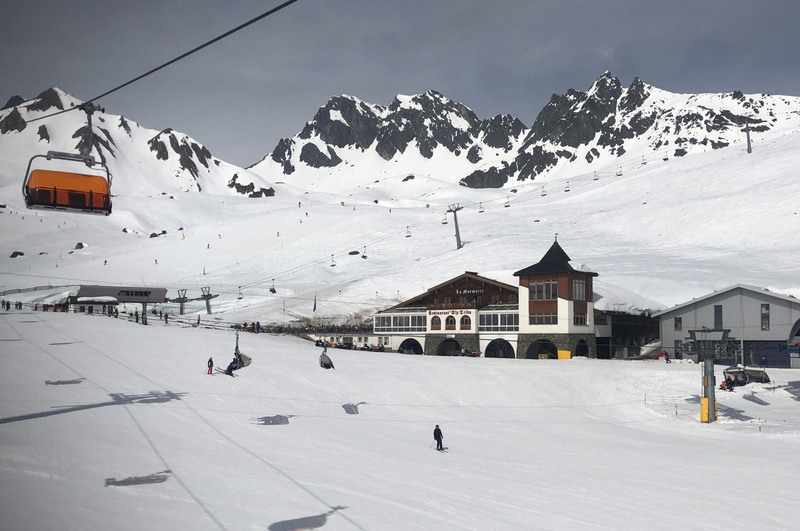 Ischgl is in the beautiful Paznaun ski valley which offers 73 ski lifts including nearby ski areas of Galtur, Kappl and See, all part of the Silvretta ski region. Ischgl is just an hour to Austria’s largest ski region, The Arlberg and skiing at St Anton, Stuben, Lech Zurs, and near Serfaus Fiss Ladis. More at Paznaun Ischgl official website.